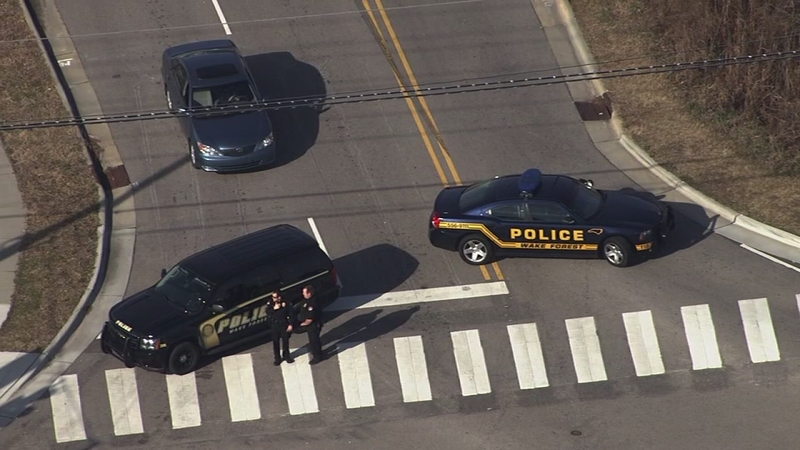 Wake Forest police investigate after threat made against high school on social media - lockdown lifted just before 11 a.m.
WAKE FOREST, N.C. (WTVD) -- Heritage High School in Wake Forest was put on Code Red lockdown for over two hours Wednesday morning following a threat on social media. A Code Red generally means a threat has been made against the school. School officials said students were locked in the building on Forestville Road. The Wake Forest Police Department said they were notified of the threat at 8:24 a.m. Wednesday. The threat was made on Twitter Tuesday night. After investigating, the authorities determined there was no intruder on campus. They said the threat came from a 14-year-old in Pinellas County Florida - west of Tampa. 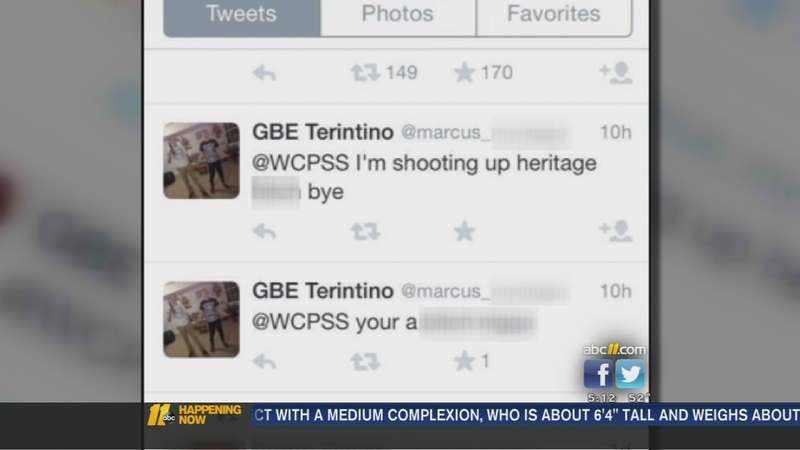 ABC11 found the post on Twitter to the Wake County Public School System that appeared to threaten a shooting at Heritage. The same person later wrote another tweet saying he wasn't serious. The lockdown was lifted shortly before 11 a.m.
Heritage Middle School and Heritage Elementary school were also placed under a Code Yellow as a precaution. School officials said students were being allowed to leave only if they were signed out by their parents. Authorities develop new protocols in assessing the credibility of social media threats. Authorities say social media threats are increasingly showing up on Twitter, Facebook, and Instagram. Click here to watch Joel Brown's report on how authorities are developing new protocols in assessing the credibility of social media threats.